A community with an ever-expanding universe of recipes and essential resources. Thermomix® is more than a kitchen appliance – it’s an ever-expanding universe of recipes, online and offline communities and essential resources to help you get even more out of your Thermomix®. 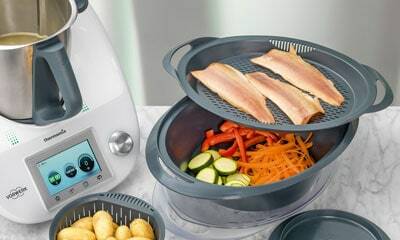 In the near future, this will be complimented by the release of the Thermomix® Recipe Platform and Thermomix® App which bring together collections of Vorwerk-certified recipes that you can rely on to deliver amazing results and have been tailored specifically for your Thermomix®. And remember, we also have a huge selection of brilliant cookbooks we have published over the years and which are still available. There are so many ways to stay inspired in the world of Thermomix® cooking. There are thousands of recipes to discover that our professional Thermomix® recipe developers have created to work perfectly with your Thermomix®. Explore our wide selection of cookbooks. 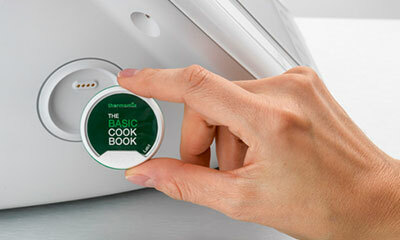 Viewing and cooking recipes on your Thermomix® is easy with Recipe Chips, which are a unique innovation that brings great collections of recipes directly to your Thermomix®. Simply attach the Recipe Chip to your Thermomix® and you can browse through recipes, access nutritional information onscreen and be guided through recipes step by step with the Guided Cooking feature! Time and temperature are preset so all you need to do is add the ingredients – let Thermomix® weigh them for you – and activate the speed selector. Once you have completed a step, just touch “Next” to see the following set of instructions. Even the most inexperienced cooks will be preparing dishes they never would have imagined possible in their own kitchens. If you are more comfortable cooking manually, you can override Guided Cooking and adjust the settings to meet your own needs. 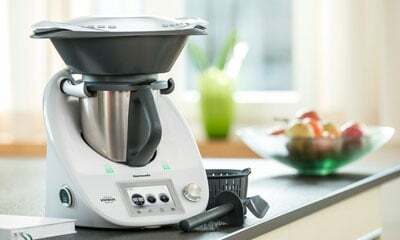 When you have a Thermomix®, you are in good company. There are millions of fans around the world who are passionate about exploring the world of food and eating well with Thermomix®. Join them in our online communities to share tips, inspiration and thousands of recipes. The Thermomix® Recipe Platform is the heart of a growing world of online information and guidance that helps you get even more out of your Thermomix® and it also helps you plan and organise your meals and shopping. With the Thermomix® App, this online treasure trove is also available anytime, anywhere on your smartphone or tablet. 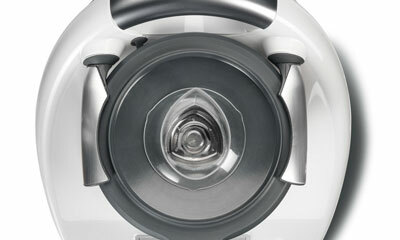 Thermomix® is manufactured according to the highest possible standards and using high quality components. However, we understand that issues sometimes do occur and that our customers may need technical support and assistance. We are here to help.